Are you thinking of setting up a wedding ceremony any time in the near future? 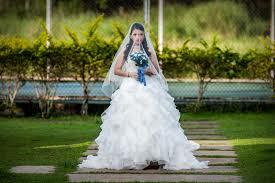 If you have answered yes then you may find it comforting to know that the mixed feelings of anxiety and pressure due to the set expectations of the forthcoming wedding are commonplace and normal. You may already have everything planned and ready for the big day but there is a big difference between feeling ready for your big wedding and actually being ready for it. While preparing for a wedding ceremony, there are two sides that need to be settled with the wedding guests on one side and the bride and the groom making up the other side. Below are a few handy hints and tips to help ensure that you are really prepared for your wedding day and how to make sure everything falls into place on your big day. For one, keep in mind the guests that will be attending the wedding ceremony, You may have the picture of an ideal wedding in mind but to transform it into a reality you will need to have an idea of how many guests will actually be attending . Having this information at the ready will help you choose your wedding venue accordingly. For example if your wedding is going to be an open ceremony then the venue should be large enough to accommodate all of your guests and have you room for extra that you may not have accounted for. Both the number of guests and size of the chosen venue will affect almost every other aspect of that ceremony. You want to consider all of the vendors that you will be using throughout your wedding day. This includes event organizers and wedding planers along with the florists, caterers and even your wedding photographer. The hospitality team should also be included in this part of your wedding planning and these should be carefully considered. Make sure that all of your vendors are fully informed of the wedding plan and make sure that they are all on the same page to ensure that everything goes to plan on the big day. Thirdly and lastly, you will want to consider the expectations of your wedding guests, this means you will need to focus on the local setting and main theme during the wedding event. This goes into the food that you prepare and music that is to be played along with the dress code of the bridesmaids and page boys if you have any. As for the happy couple, the bride and bridegroom, they should take the time to choose their honeymoon destination and make any arrangements in advance, particularly if they are departing straight after the wedding reception. If you have taken the time and effort to plan your wedding day well then you can sit back and relax safe in the knowledge that you really are now ready for your dream wedding.